To keep your lawnmower in the best condition, it is important to change the oil and also empty during the winter. 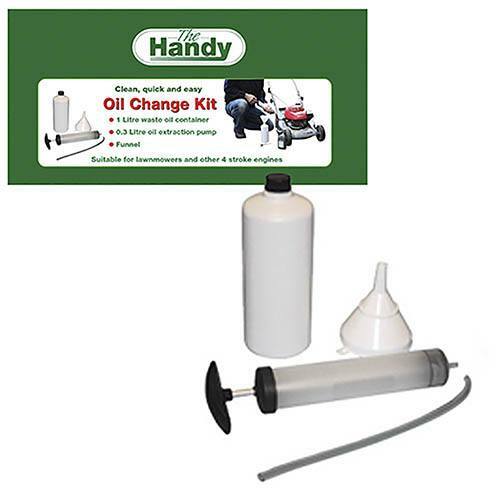 Rather than having to tip the lawnmower to let it drain out, this kit contains an extraction pump to easily drain the oil. Contains: extraction pump, waste oil container and funnel. Simply extract dirty oil with the oil extraction pump, empty into the plastic bottle using the funnel and refill with appropriate new oil. Contains: extraction pump, waste oil container and funnel.